Is your opt-in page getting you the leads you want for your affiliate marketing offers? Are you giving something away for free but still unable to capture your audience's attention? Well, your headline might be the problem. You don't need me to tell you that a web user has a very limited attention span. Even if you are giving something away for free on your website, a powerful, catchy headline that stands out is super important. Without it, you're unlikely to capture their attention -- and without their attention, you're not going to convert any leads. When it comes to your squeeze page or form, if you get the headline right, you immediately boost the effectiveness of your offer. But, when you get it wrong, you can say goodbye to your leads. What Makes a Good Headline for Opt-Ins? Fact: A good headline should grab the user's attention. This is true for all headlines, but even more so in the case of opt-in pages or lead generation forms, because without your user's attention, you won't be able to convince them to convert. So how do you create a headline that grabs attention? There are a lot of great formulas for headline writing: for web content, for blogs, for email subject lines, for social media, etc. While many of the principles are the same, the advice below is specific to writing an optimized headline for opt-in/squeeze pages and forms. Appeal to the user's emotion. Be formatted to stand out from other text on the page. Of course, no headline can be all of the above. But if you aim to factor in at least one or two of these, your headline is definitely going to be more powerful. It's time to really think about what it is you're offering your audience. Think about it and then narrow it down to be really specific. The information you provide in your headline should tell your audience whether or not your offer is of value or interest to them. If your headline is vague and lacking any real focus about what your audience will gain from your offer, you're unlikely to get the results you want from your opt-in box. Jon Loomer's opt-in form is highly specific in nature. It invites users to sign up for a free workshop about a specific type of Facebook advertising copy. There's no confusion about expectations or what the offer actually includes. It's direct and focused. If you can clearly identify your audience's problem and sell the solution in your headline, you have a winner! Get inside your audience's head and think about what it is that they really, really want. Your headline must immediately convey the usefulness and benefits of your offer to your audience. Otherwise, they are unlikely to continue reading. The headline on Quick Sprout's page, for example, immediately addresses an audience concern: getting traffic. Quick Sprout takes this concern, frames it into a question and then offers to send the user tips to make this traffic happen (in exchange for their email address). It's simple, it's specific, and it's definitely clear about what value it offers to its audience. The way you format your headline has a huge impact on how it is received and how it performs with your audience. Needless to say, your headline should be formatted so it stands out from the rest of the text on the page. You can do this by making the text bigger, by making it bolder, or even by using a different type face. A different color also often does the trick. If your headline needs to be lengthier than usual, break it up with visual cues (e.g., punctuation) such as em-dashes or even ellipses. This opt-in form from Unbounce makes sure the headline stands out not only by making it bigger and bolder, but by placing it on a black background. It's definitely the first thing that catches your eye. A headline that works doesn't actually need to be something ground-breaking at all. In fact, when you keep it short and simple, you are more likely to succeed with it. Often, the real message gets lost in cleverness. Also, the length of the headline is also a factor worth considering. A shorter headline, one you can read at a glance, is usually more effective than a long-winded sentence. Most people scan online content, so a simpler, shorter headline will make sure your message is communicated more effectively. You don't always have to be creative or clever when straightforward will do just fine. Bidsketch's opt-in headline is incredibly simple. It conveys what the product does (creating proposals), while at the same time highlighting the simplicity of the process ("in minutes"). Without trying too hard, it offers a solution simply by talking about the usefulness of the product. There's nothing gimmicky about it. The simplicity is what works. A good sub-heading can sometimes be just as powerful as your headline. Combine them to really pack a punch with your message. Sub-headings work by backing up the interest that your headline piques. You can't possible say everything in a headline. Use the sub-heading to continue the though process and provide a bit more information (such as further benefits) about your offer. For example, Chris Ducker's pop-up opt-in box does a great job using the sub-heading to further explain his business bootcamp offer. Stuck for ideas and not even sure where to start? Here are 10 headline suggestions to help get your creative juices flowing. You can reword these ideas to generate your own headlines for your opt-in boxes. Or, you can use them as inspiration when writing your own from scratch. Simply replace the X's with the words of your choice to create a headline appropriate for your offer. I've got a few examples under each idea to give you an idea of how it would work. A simple 4-step strategy to reduce your blood pressure. A simple 5-step strategy to reduce your refund rate. A simple 3-step strategy to reduce your weight. 3. Can You be Sure that XXXX? Take Our X-Minute XXXX Test Right Now to Discover the Truth! Can you be sure that your partner loves you as much as you love them? Take our 3-minute love-meter test right now to discover the truth! Can you be sure that you made the right career choice? Take our 5-minute career counselor test right now to discover the truth! Can you be sure your website is search engine-friendly? Take our 6-minute website SEO health test right now to discover the truth! NEWSFLASH: Free report uncovers a cunning trick to stopping dog obedience problems for good! NEWSFLASH: Free report uncovers a cunning trick to curing your insomnia and helping you sleep better! NEWSFLASH: Free report uncovers a cunning trick to solving your child's attention issues for good! Free Report Reveals: 9 strange but true secrets to increasing your vocal range. Free Report Reveals: 15 strange but true secrets to a happier marriage. Free Report Reveals: 3 strange but true secrets to getting rid of your fear of heights. A brand new way to learn to play your favorite songs on the guitar. A brand new way to learn how to knit your first sweater. A brand new way to learn to code. 12 sneaky but legal ways that you can save money on your taxes. 15 sneaky but legal ways that you can increase your click-through rates. 3 sneaky but legal ways that you can make an income on eBay. 5-minute video reveals exactly what to do when you want to win back the love of your ex. 7-minute video reveals exactly what to do when you have a panic attack. 4-minute video reveals exactly what to when you have to do your makeup in a hurry. 10. If You are Struggling to XXXX, Watch this X-Minute Video on XXXX Right Now! If you are struggling to reduce stubborn belly fat, watch this 5-minute video on how to lose weight -- even if you have a slow metabolism -- right now! If you are struggling to make ends meet, watch this 6-minute video on how to save money without sacrificing your lifestyle, right now! If you are struggling with disciplining your kids, watch this 4-minute video on how to punish your kids without being a meanie right now! Before you get started, it's important to remember that not all of these are going to work for your site. Different headlines work for different sites and demographics. Some of the above headlines are quite long, so you can, and should, break them up as a headline and a sub-headline so they work better. The key is to write, test, see what works, and do it all over again. Keep testing till you can settle on a formula that works for your audience. There you go, now that you have some tips and headline ideas - are you ready to write/ rewrite the headlines for your opt in pages? Do you have a headline suggestion we missed? 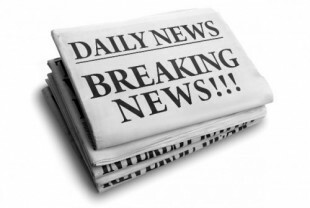 Got more questions about writing headlines for opt in forms? Leave us a comment! We'd love to hear from you.